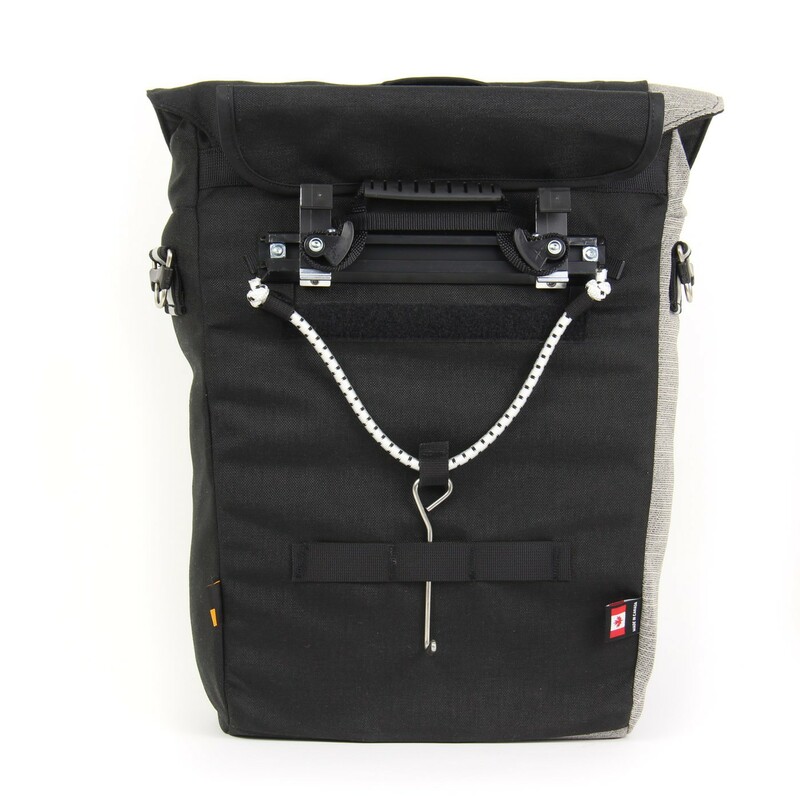 The Commuter laptop pannier is equipped with our Cam-Lock® mounting system. 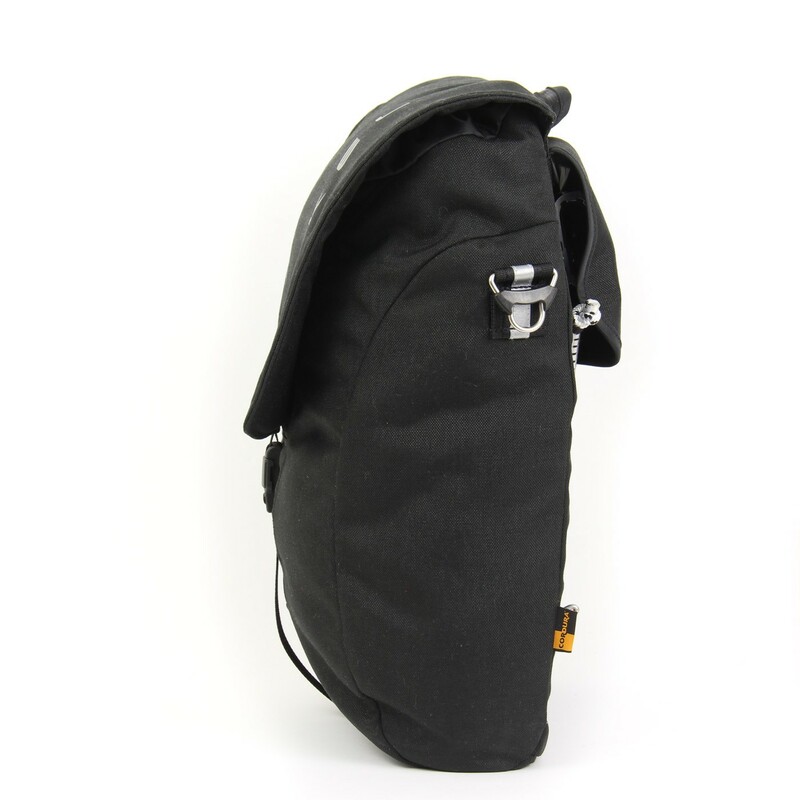 The one thing I’d note if you’re new to panniers is to be mindful of the size - it’s not very big. If you’re used to carrying a lot of gear say, in a backpack, you’ll be leaving a lot of stuff at home. 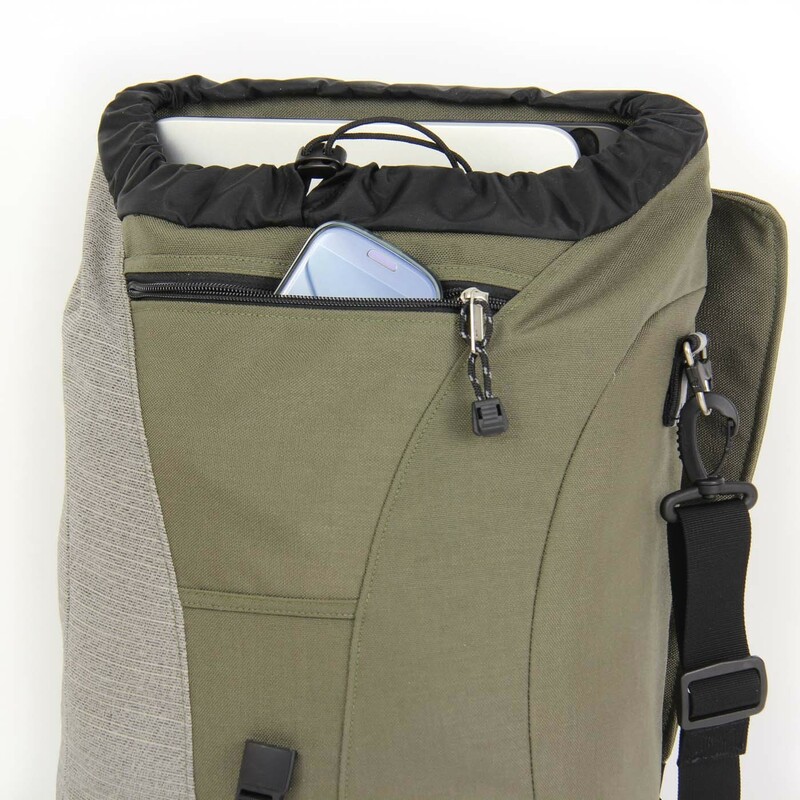 That said, it fits my 15’ laptop and charger, an iPad, lunch and a light jacket + other small items, but if you’re like me and like to bring a notebook/papers and shoes and some bike tools, you will not have enough space. 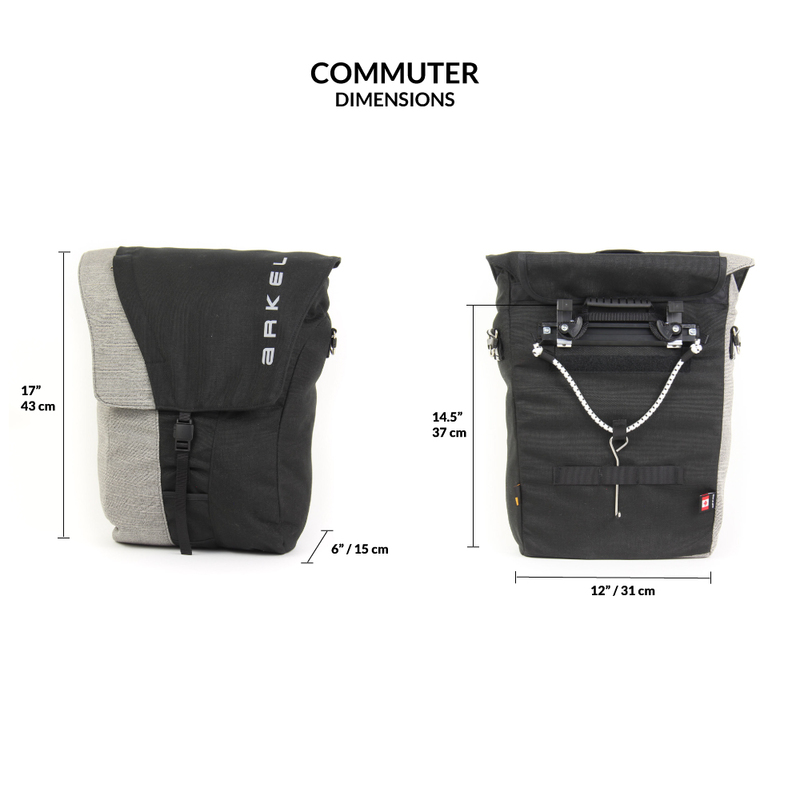 I purchased the “Shopper” unit which is where I keep my clothes and winter gear and the Commuter is mostly for my work stuff. 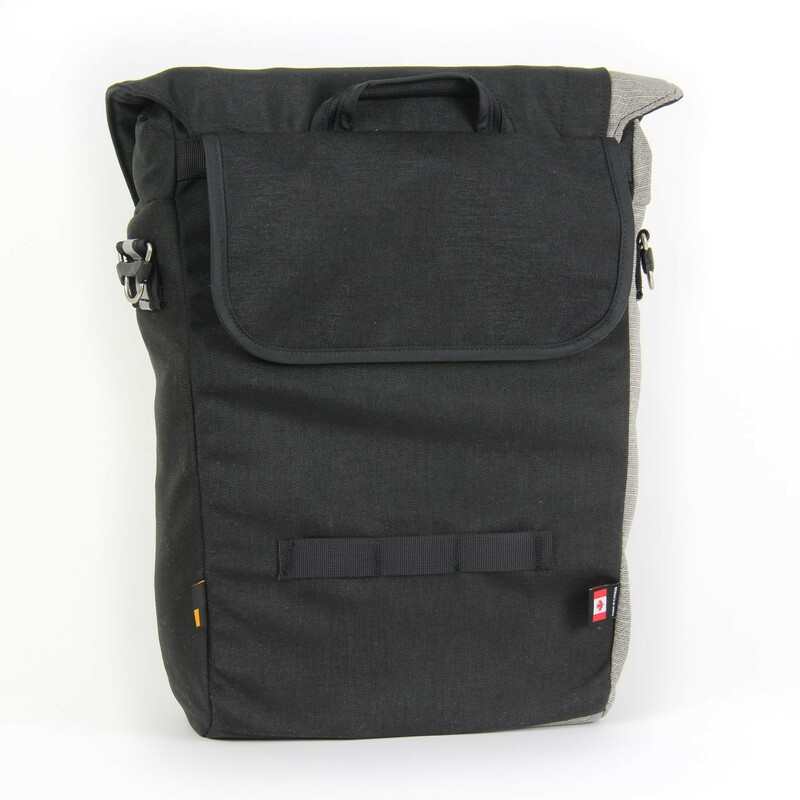 The Bug backpack may have been a better choice for me, but I just like the way the Commuter bag looks and the fact that it forces me to carry only essential as opposed to packing everything in it. Overall, I am impressed with quality and security of the mounting system. 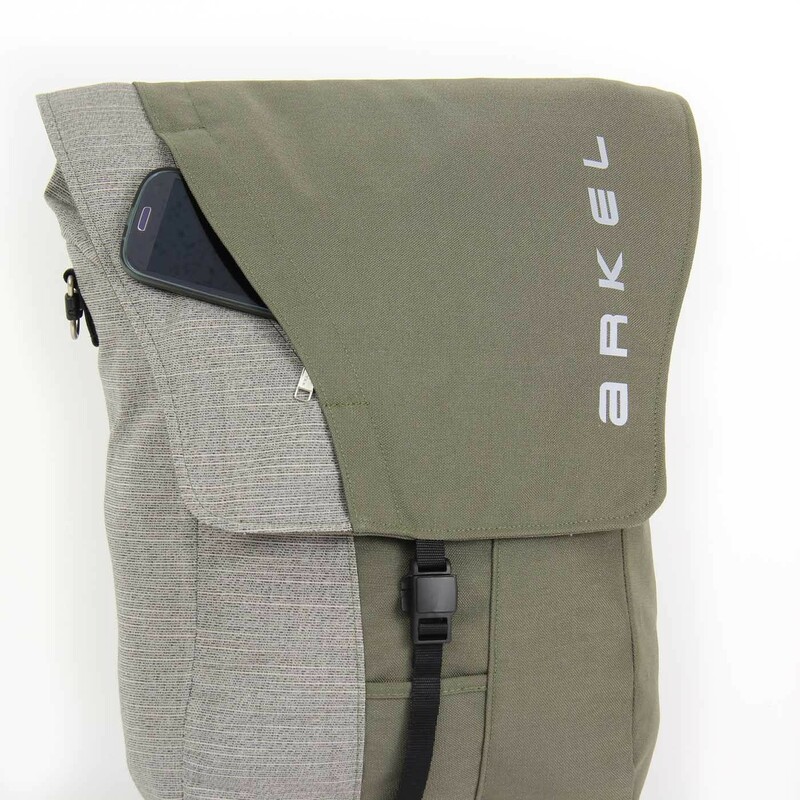 The internal stitching in my internal pocket did start becoming undone, but the folks at Arkel were cool about letting me take it to the local cobbler here in NYC to get it repaired and reimbursed me for it. If my Commuter were to disappear tomorrow, you bet I’d order a new one. I find the opening small but you can, with patience, fit a lot in it. Since the bottom is tapered it is hard to load because it won't stand up at all. The metal hook on the elastic got caught in my axel which brought me to a sudden stop. It ripped off the bag and wrapped around the axel so it was a bit of work to get off. I am not sure what shape to rebend it back to. It's hard to tell from the photos. I suspect that it wasn't through the small loop on the bag. I didn't realize how critical that was to prevent injury or damage. 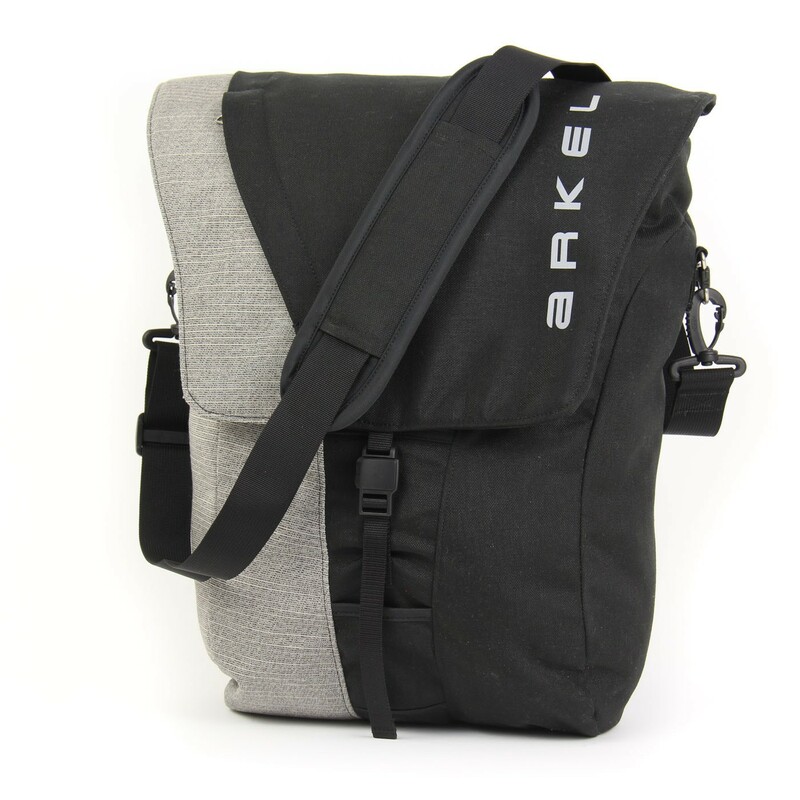 Other than that - it's an ok bag. 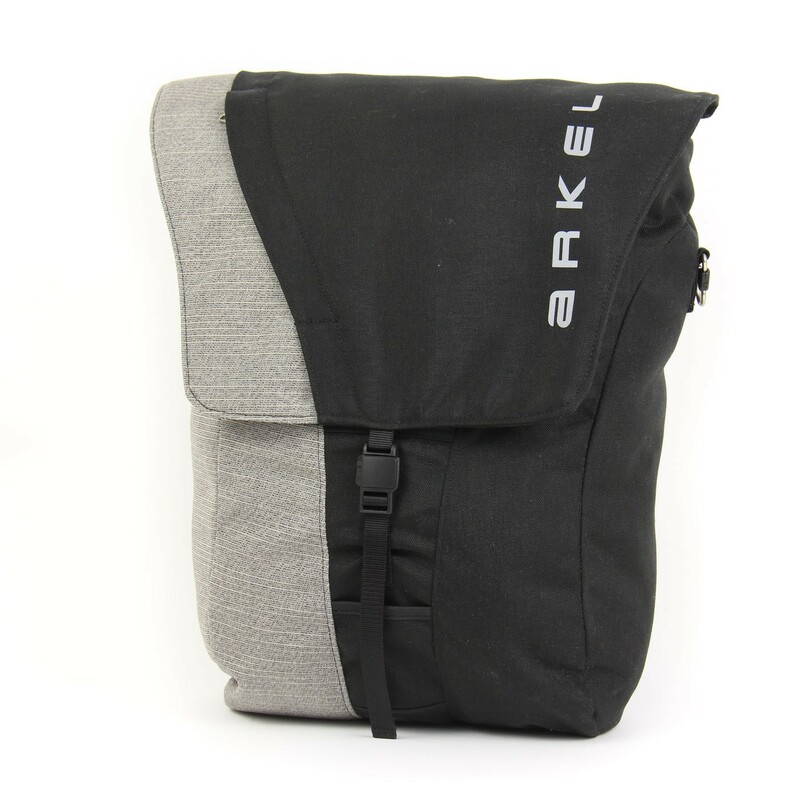 I use the bag on my daily ride to the office (20 kilometers, mostly gravel roads). Easy to attach and to remove. After six months absolutely secure, best system I have seen so far. 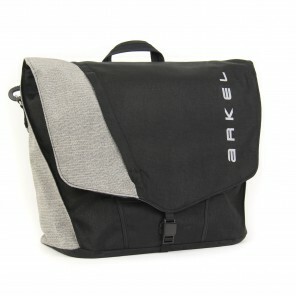 I can also take it with me to client meetings, so no need to transfer things into another bag. 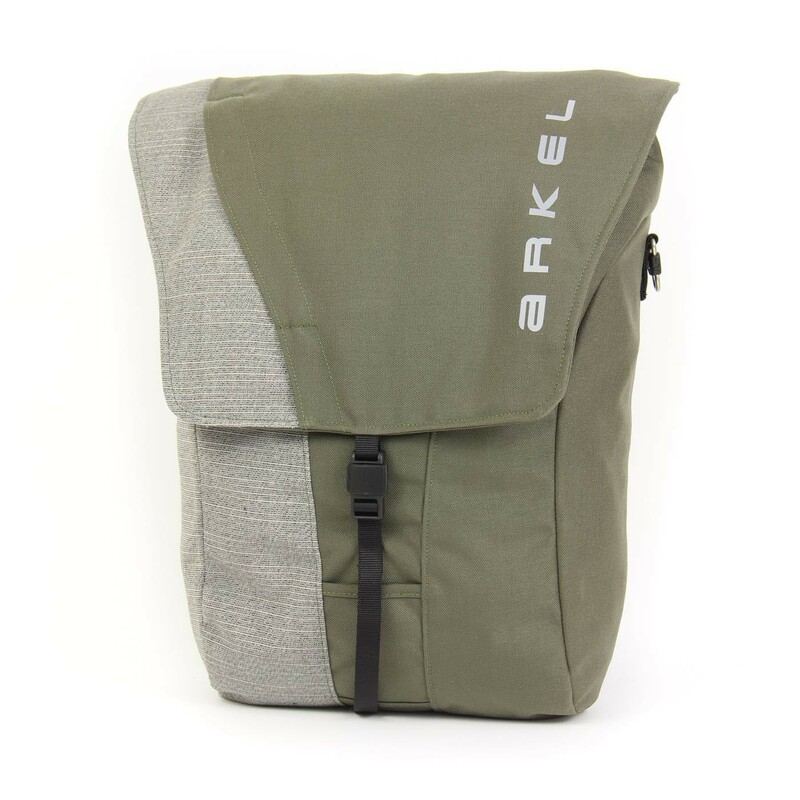 I've had my Arkel Commuter pannier for ten years, and in that time I've used it on countless daily commutes. I can't speak to the current design (it's changed somewhat since my model), but it terms of quality and practicality, it's top notch. 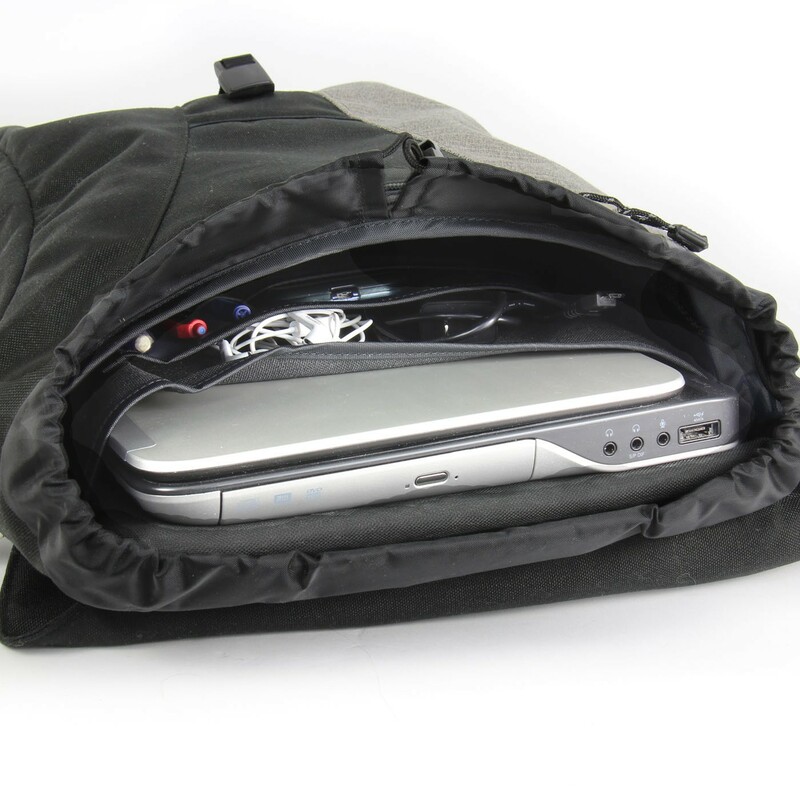 The bag is also effectively indestructible – nothing has needed repair. It just keeps going. Aesthetics - looks great, and I'm very comfortable using it for business. I don't need to transfer things into another bag. Construction quality is excellent. Hanging on bike -- I found it difficult to get it to clear my heel. It hangs down quite low and is only slightly tapered -- by adjusting the hooks all the way to one side, adjusting the stabilizer to one side, AND extending my rack to it's extreme position, I did get it to clear - but it was tough. It seems to be working fine now but it took a lot of tweaking. Space - the opening is very narrow - that is in depth. I find it hard to insert and remove things, and hard to open the top enough to really see what's in there. There's a nylon rain shield at the top which is presumably intended to protect contents from rain. What's strange is you can't pull it all the way shut. It narrows the opening but doesn't close it. So on the one hand, you can't open the top very wide, but on the other hand, the drawstring closure doesn't close it all the way either. It's not very useful - though it could be. 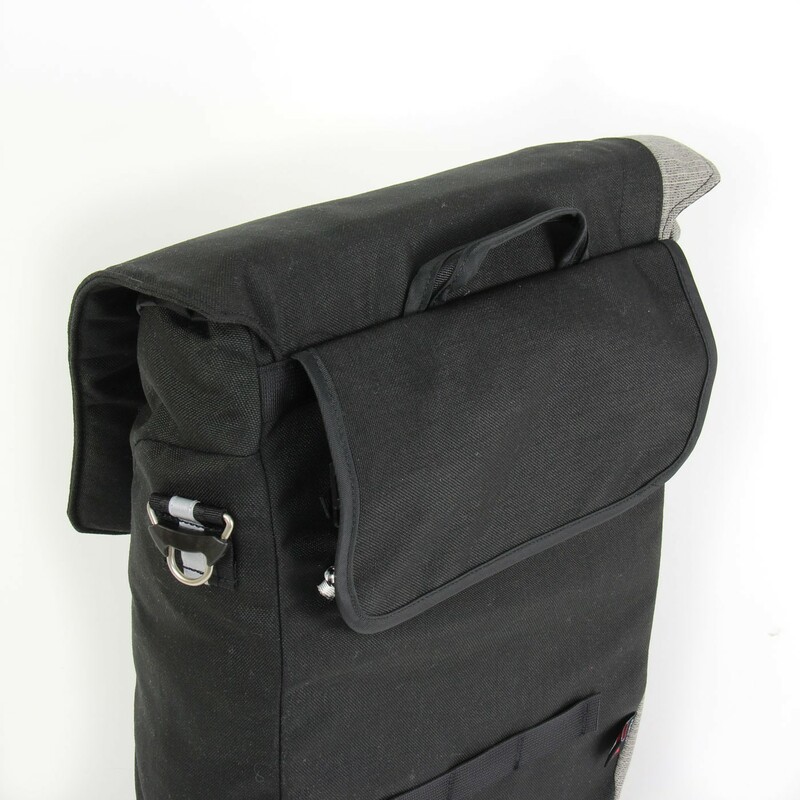 My Axiom bags have a similar feature that actually works. Features - I love the magnetic clip. 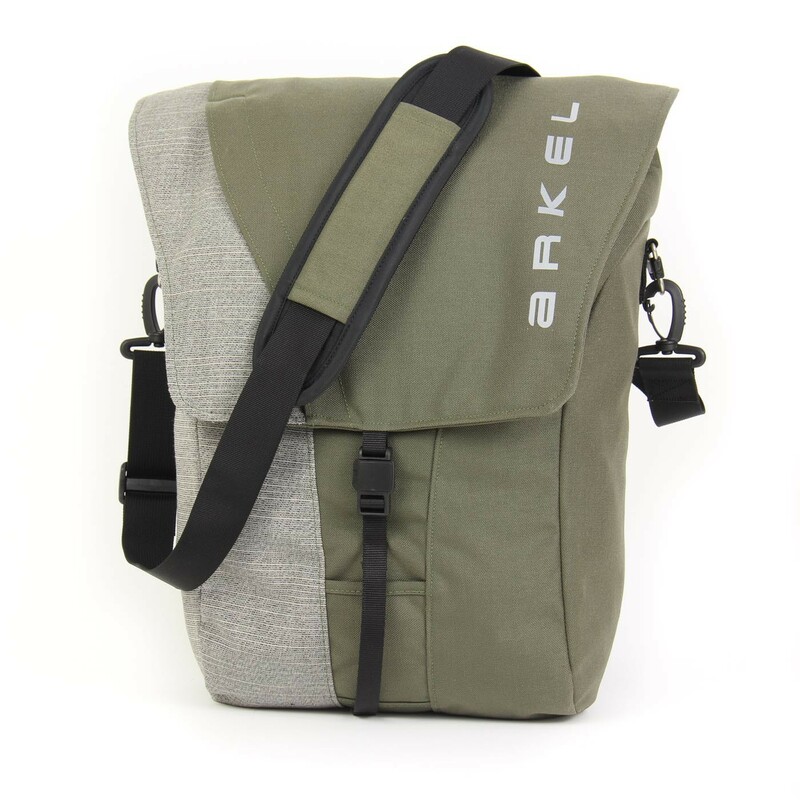 I really like the two external pockets - though I wish there was an additional outside pocket set up for keys - with some kind of key ring clip so keys can be very handy but not risk falling out. The internal pockets are nice - but as I said before, it's so narrow that it's hard to see what you've got in there. 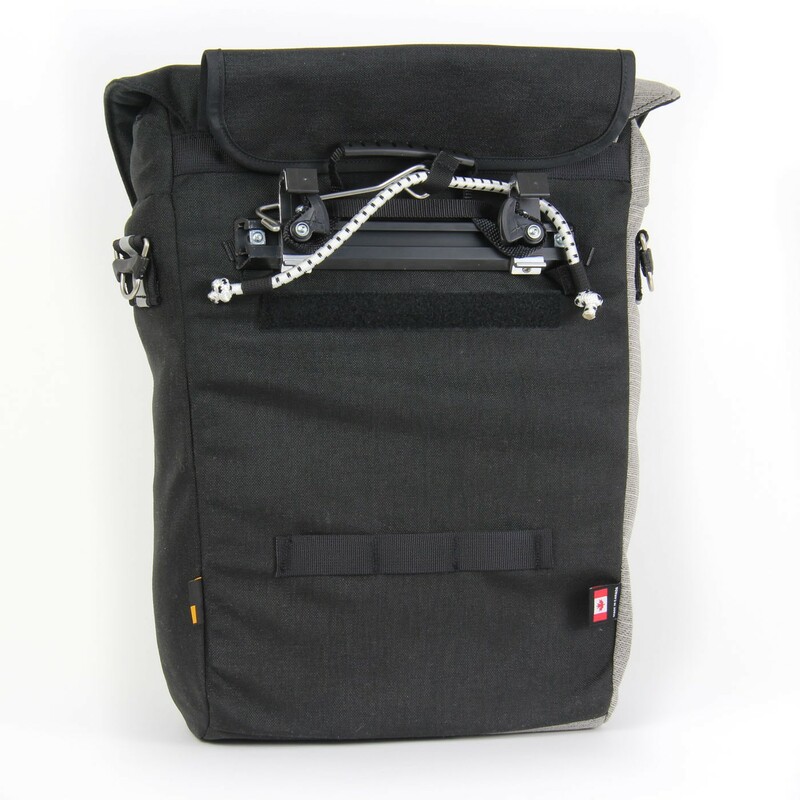 I love that you can cover up the rack hardware so it really doesn't look like a pannier. 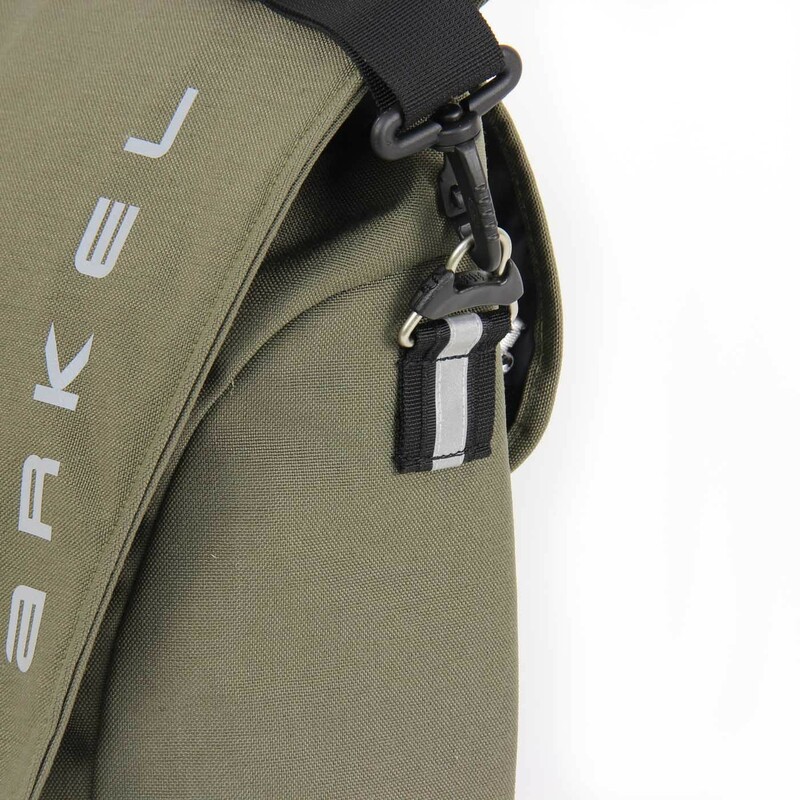 Nice carry strap and you don't have to take it off to ride. 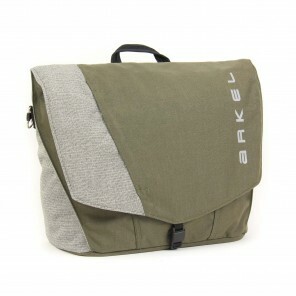 I plan to keep this because there are very few commuting business panniers around lately and this seems to be the best. Two others I liked are discontinued. It's very good - but it could be great.